Progressive Movement: Theodore Roosevelt was the 26th American President who served in office from September 14, 1901 to March 4, 1909. One of the important events during his presidency was the rise of Progressivism and the Progressive Movement that continued under the presidencies of President Taft and President Wilson. Summary and definition: The Progressive Movement encompassed a variety of different ideas and activities of reformist pressure groups. The Progressive Era was the period in the history of the United States that was dominated by reform ideals from 1890 - 1920. The Progressive Movement covered social reform issues relating to female suffrage, education, working conditions, unionization, the problems of urbanization, industrialization and child labor. The Progressive Movement called for political reforms attacking bribery and corruption, the political machines and the regulation of Big Business and corporations and reducing the power of the Robber Barons and unfair business practices. What caused the Progressive Movement? What caused the Progressive Movement? The Progressives believed that the government should take a more active role in solving the problems of society, restoring order and protecting the welfare of Americans by conservation and environmental reforms. The causes of Progressive Movement were extremely wide ranging and included in the following list. The economic system of Free enterprise and the concept of 'Laissez-Faire' by which private businesses operated in competition and largely free of state control. Progressive Movement for kids: Who were the Progressives? The list of names of famous Progressive Leaders, who consisted of reform activists, politicians and 'muckrakers', included Jacob Riis, John Dewey, Lester Frank Ward, Frank Norris, Ida Tarbell, Thomas Nast, Charlotte Perkins Gilman, Robert La Follette, Henry Demarest Lloyd, David Graham Philips, Upton Sinclair, Charles Edward Russell, Alice Paul, John Spargo, Eugene Debs, Lincoln Steffens, Ray Stannard Baker, Jane Addams, Booker T. Washinton, W.E.B. DuBois, Theodore Dreiser, Walter Rauschenbusch and Ida B.Wells. Many of these men and women were labeled as Muckrakers. 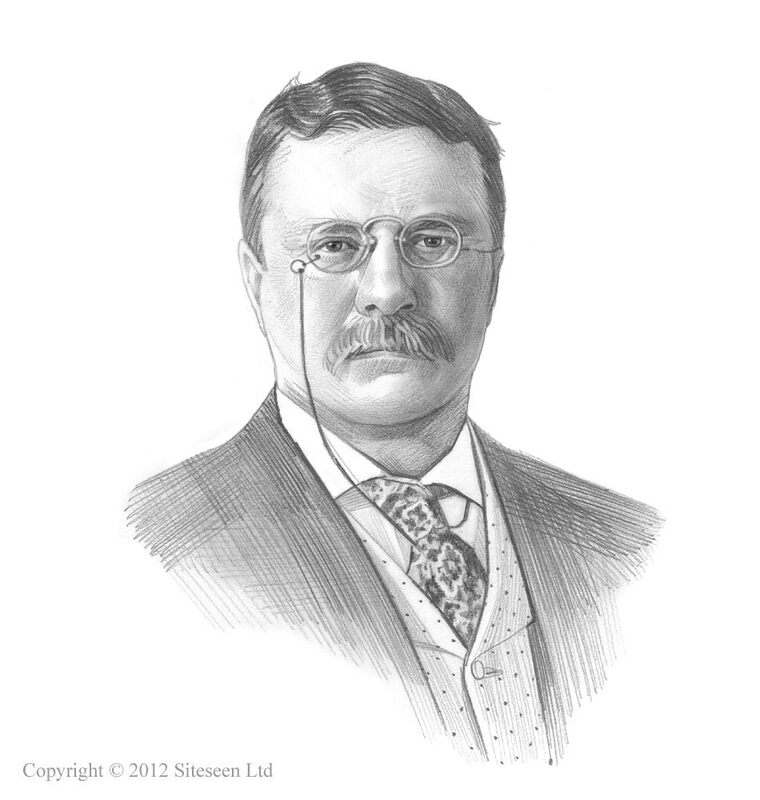 Theodore Roosevelt was the most influential of all the leaders of the progressive movement and his presidency and focused on efficiency and fairness. One of the famous leaders of the Progressive Movement was Robert La Follette (1855 – 1925) aka "Fighting Bob" who started his political career as an American Republican and later became a Progressive politician who initiated the Wisconsin Experiment. Robert La Follette became a rallying point of many of the progressives in the diverse sectors of the Reformist Movement. Robert La Follette, "Fighting Bob", fought against corporate monopoly in America and imperialism abroad. As a Socialist he believed that major industries, run by Big Business and corporations, should be owned and controlled by the government rather than by individual people and companies. The ideals of Socialism are based on a democratic, non-racist, classless and feminist socialist society in which working people had control over their lives and Robert La Follette, "Fighting Bob", fought for all these issues. His radical, left wing political views, attracted women, organized labor movements, minority groups including many African Americans and farmers. His militant, Progressive platform earned him the nickname of "Fighting Bob" and the admiration of the working classes and the fear of the establishment. He called for the government takeover of the railroads and the coal industry and fought for the rights of workers and unions and the abolishment of child labor. Robert La Follette ran for President on the Socialist platform in 1924 and gained 5 million votes. The progressive movement addressed social problems, passed laws, amendments and reforms to protect workers and regulate the economy and big business but there were limits of Progressivism. The most conspicuous limit to progressivism was its failure to address African-American reform and racial issues. African-American progressives therefore took action themselves and the National Association for the Advancement of Colored People (NAACP) was formed in 1909. The nation's problems regarding the economy, racism, immigration and labor unrest following WW1 heralded the end of the progressive movement and the Progressive Era. Warren Harding, the Republican candidate called for a return to 'normalcy' and the simpler way of life before all of the Progressive reforms. Americans agreed with his sentiments and Warren Harding won a landslide victory in the presidential election.